Now available to rent our 2 bedroom luxury holiday lodge set in 14 acres of countryside of our home in Caistor, near Market Rasen, North Lincolnshire LN7 6SF. 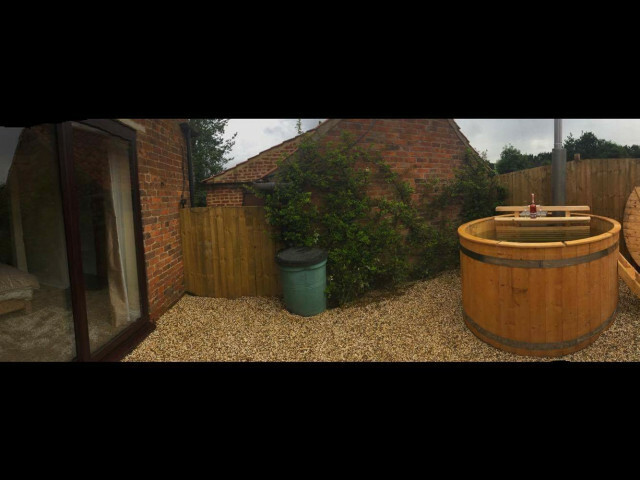 The lodge has been renovated to a high standard and has plenty of character and a cosy feel including a log burning hot tub, private garden area, luxurious shower with radio and jets, mood lighting, 1 king size bed with memory foam mattress and the other bedroom with 2 single beds. Available for weeks breaks, mid week breaks, or long weekend romantic getaways or family time together. Plenty of lovely walks, hikes and cycling in the outstanding 40 miles of the Lincolnshire Wolds and surrounding areas, so well behaved dogs welcome! All prices are total cost for whole stay including towels, bedding, electric and gas. Westmoor Farm, North Kelsey Rd, Caistor, Lincs, LN7 6SF.